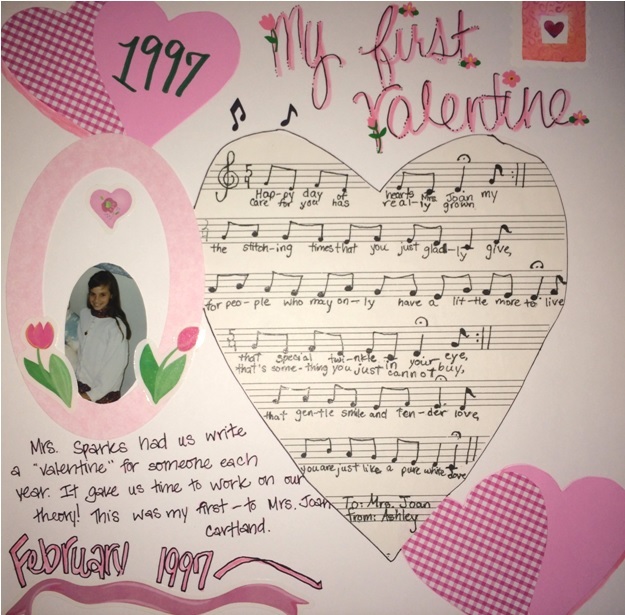 As a young piano student, I had a teacher that assigned Valentine composition projects. The task was to create a song with words for a friend or family member, notate it in lessons with her guidance, and perform the musical valentine for the person you chose. I remember sitting at the piano in our living room, playing with patterns and ideas until something stuck. Somehow, I always managed to create something beyond my reading abilities (e.g. Gb-major, anyone?) but my teacher was extremely patient and caring and by Valentine's Day, without fail, I had a newly-notated composition in hand. This was always a fun time of year for us and I remember feeling such pride in seeing my composition in written form. This year, I'm passing on the tradition to my piano students. I decided to structure the project a bit - the first version (pictured above) is for my 1st grade students (based on a 5-finger scale) and the second (pictured below) is for my elementary students who have some experience composing 2-part music. Feel free to download these PDFs to use in your studio (for your personal use only). Happy composing!